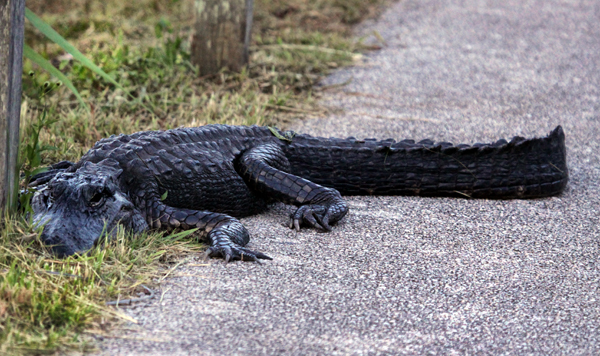 Home > Animals, Black & White, Everglades, Nature, Wildlife	> Selective Focus – Elvis has left the building. Selective Focus – Elvis has left the building. 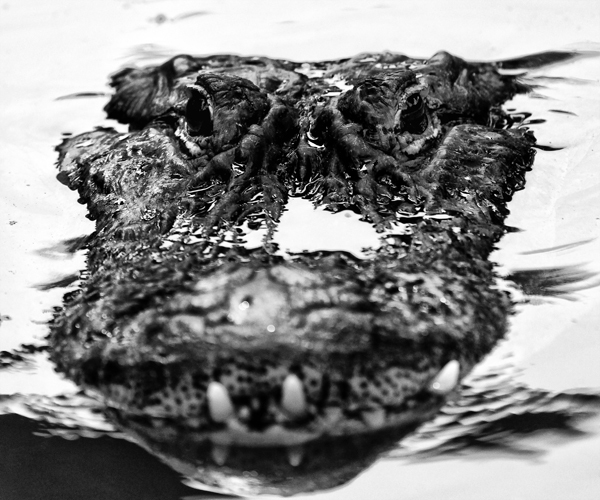 In a new addition to my close-up animal portrait series Of the Wild, I created a classic black & white image of an American Alligator. Using selective focus with a long (400 mm) lens, I highlighted E’s eyes and left his menacing teeth soft, but clearly visible. The puddle that formed on his indented snout adds another dimension to the close-up portrait. Nothing like a little excitement at the end of a day’s shoot. One way out, getting dark…what would you do?